What prank do you wish you had the guts or expertise to pull off? I've always wanted to throw a surprise party for someone. One where they truly, 100% have NO idea it's happening. 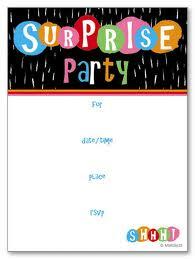 I've never been to a surprise party, nor have I ever had one thrown for me, so the idea is very alluring. I absolutely love party planning. I would do it for a living if I could. Planning the food, drinks, cake, sending the invites, coordinating parking so the guest of honor won't be suspicious, getting people to hide, and most importantly - making sure the guest of honor is totally clueless! It sounds like a blast to me!